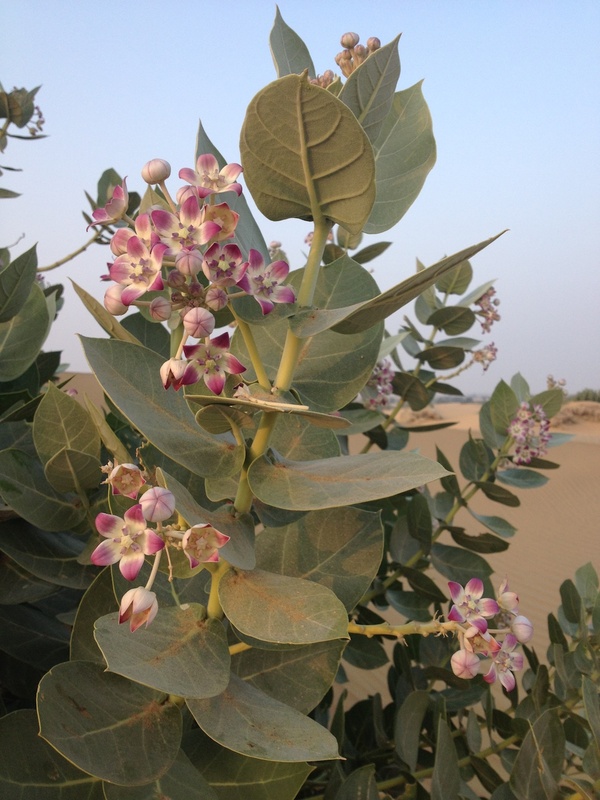 Can you identify this bush with nice waxy flowers in Thar desert? Hello friends! 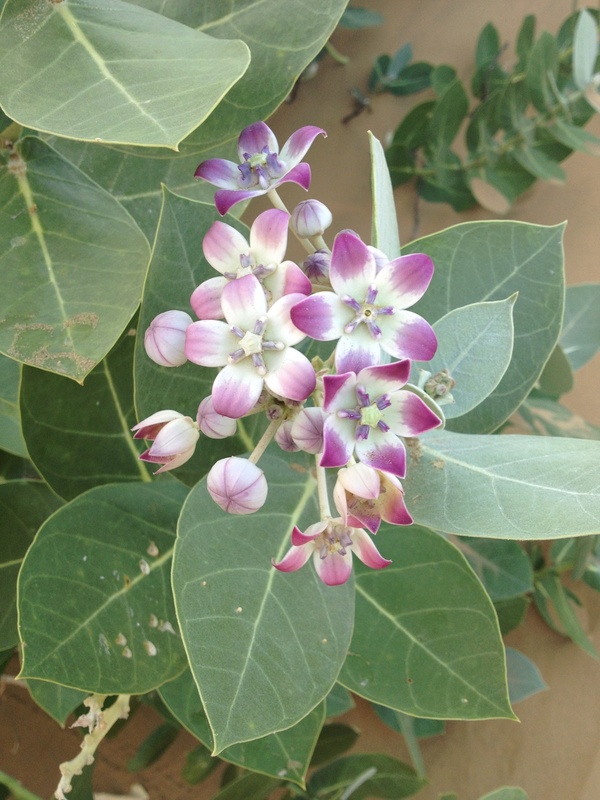 Do you know the name of this bush with thick leaves and pink whitish wax flowers? I saw it in Rajasthan, India, Thar desert during a camel ride 🙂 Thank you! Is a common type of milkweed seen in most dry parts of India. Most locals do not remove this plant as the flowers are offered to gods Shiva and Ganesha. Some butterfly species prefer to lay their eggs on this plant. Seed dispersal is through air and one can sometimes see the seeds being carried around in gentle breeze. Thank you! This is a very interesting information! But is it really poisonous? 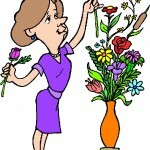 Will it cause anything if you pick the flowers? Florist Vice Professor Answered on January 18, 2016.